Soccer is a relatively new sport in the school. The school has both boys and girls teams which compete locally with other schools. They are trained under the watchful eyes of our school very own two football coaches Mr. Mooney and Mr. Doherty and there is a growing interest in the sport in the school which hopefully leads to many achievements in soccer in this school. With the retirement of Pat Doherty, the man, the myth, the legend, Mr Mooney, our beloved maths teacher and SGS sporting legend, has taken over the management and coaching of all teams. He is supported by assistant managers Caoilte Brannigan and Daniel O’Toole. The U17s Boys League got off to a strong start with one win and one draw. The U17s drew their first game at home with a stunning match where Joshua Mulrennin-Flynn scored a hat-trick. The score was 3-3 vs Boyle. The team had another game vs Enniscrone where they won the game 3-1. The goal scorers were Max Stafford, Luke Glennon and Sean Ndego. This U17 team has a strong chemistry and we hope they will bring home the bacon. They are due to play Grange and this game will decide whether or not the team qualifies for the Connacht Quarter Finals for the first time ever. The Boys U17 Soccer Team got off to a mixed start to the season. 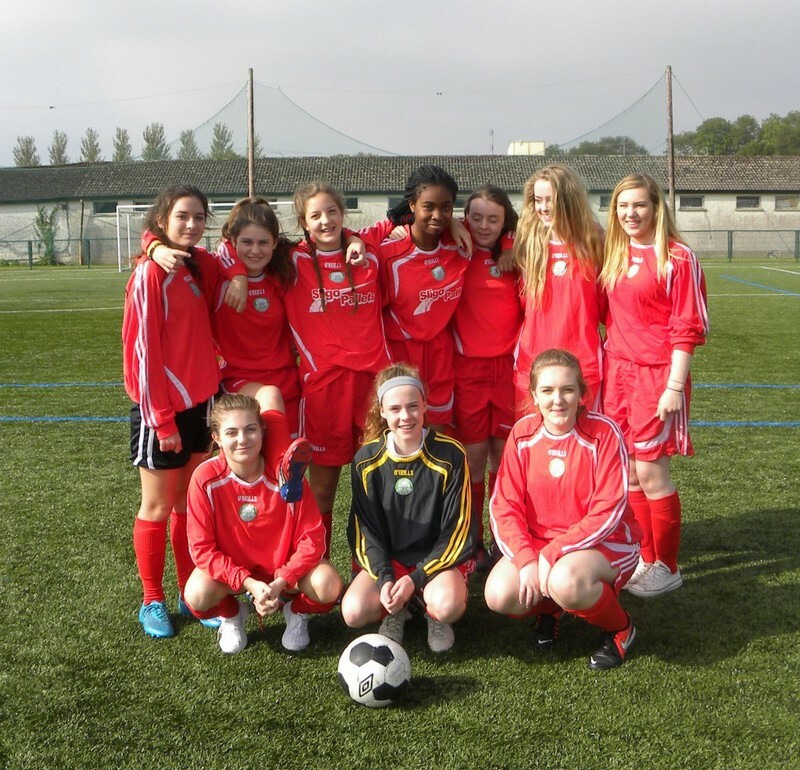 They drew and lost their friendly games to Ballinode College and Strand Celtic FC. In their first competitive game of the season the boys were unlucky to lose to Summerhill College 2-1. They have 2 more games left in the group stage. We are hoping the boys will qualify for the next stage. Both the girls and boys team competed against Ballinode College in September. The girls team showed of their new found skills on the pitch and won 3 – 1 but sadly for the boys team it was not their day and so they lost 3 – 1 ironically but they gave a valiant effort.